Winter is fast approaching and it will get progressively cooler from now onwards. It’s already party time in Dubai and the UAE. 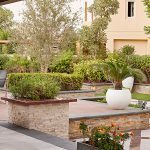 Let’s look at some of the ways we can spruce up our garden to build useful, functional spaces where one can entertain people in beautiful surroundings. 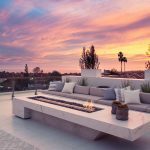 If you are renting a property for the purpose or if you have a limited budget, consider some of these ideas to make the space look good. 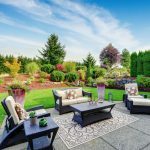 ● A well ­mowed lawn and professionally pruned plants create favorable first impressions. ● Use decorative lights to light up plants, trees and shrubs and to create a nice and warm ambience. ● Wooden accessories like gazebo, pergola, fences, gates, and decking can be used to give the venue a professional look. ● You can also add potted plants, accessories, and sculptures to further enhance the look of the place. Make sure the selected plants do not trigger an allergic attack in any of your guests. Some of the common culprits are dandelion, velvet grass, and acacia. ● Make sure none of the accessories have protruding and sharp edges which can potentially be dangerous to your guests, especially kids. On the other hand, if you own the space and need to upgrade your garden to get it ready for the party season, we recommend the following measures. ● Tidy up your lawn, prune and shape plants. Adding some interesting and exotic new plants is a good idea. This can also serve as a great conversational topic at the party. ● Make sure the lawn is mowed and plants look healthy. Wild­looking lawn, wilting flowers and yellowed leaves do not really make for a great ambience at your party. ● Don’t forget to polish all the woodwork. ● Bar, barbeque and buffet tables are the most visited areas at parties. Make sure they are well stocked and professionally managed. ● Light up the venue adequately for decorative and safety purposes. ● Make sure drinking water is in plentiful supply. ● Ensure all safety precautions are in place. ● And finally indulge in some personal grooming and get ready to enjoy the party season!